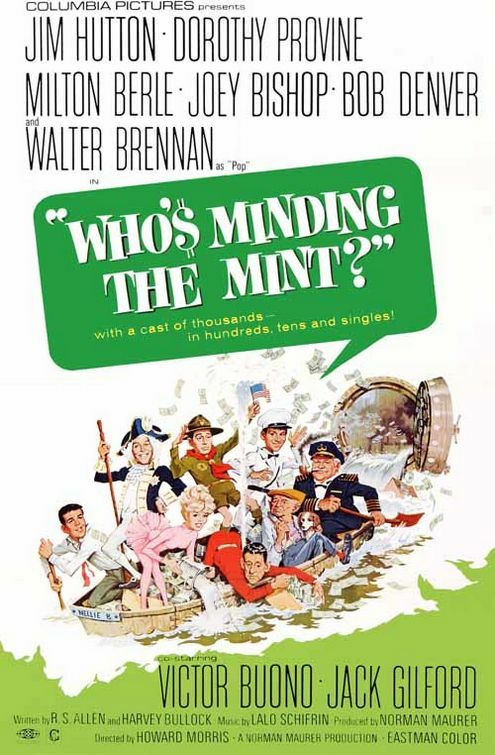 When a U.S. mint worker (Jim Hutton) accidentally destroys $50,000 in new bills, he enlists the help of his buddy (Walter Brennan), his co-worker (Dorothy Provine), and others to reprint the cash. Walter Brennan as “Pop” — how wonderful to see this veteran character actor in a later film! No, but it’s definitely an enjoyable slapstick comedy. If you loved It’s a Mad, Mad, Mad, Mad World, you’ll like this one as well.